More than a children's book, ''The Cookie Garden'' includes do-it-yourself instructions and a seed packet to help you grow your own cookie garden Fill the seed packet with your favorite type of cookie seeds: chocolate chips, butterscotch chips, or coated-chocolate candies. 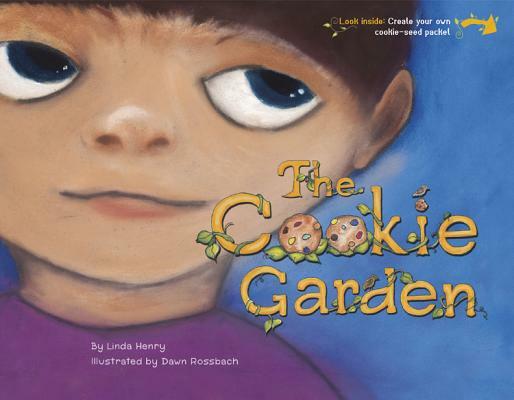 ''The Cookie Garden'' is about cultivating imagination. Sam isn't all that impressed with his mama and papa's vegetable harvest. So he decides to grow a garden that's really sweet: a cookie garden. What kind of seeds will he plant? Can his family convince him that delicious and nutritious vegetables are enough to satisfy? Will his cookie garden ever bloom? ''The Cookie Garden'' encourages grownups, especially parents, to listen for the funny, amazing, and sometimes just plain silly ideas that come out of kids' mouths. It reminds adults to follow a kid's imagination down paths we might not otherwise explore.